Many people automatically link home improvement with big and expensive jobs like refitting your kitchen or bathroom but sometimes smaller changes can have just as much of an impact on your home. If you have been considering ways that you could make your home more attractive and comfortable but don’t feel the time is right to undertake a really big project why not consider replacing your old front door with a modern composite door instead? With a great range of advantages and many different designs available no matter what style of building you may have you can be certain that it will help make a noticeable difference to your property. Having a new front door that complements the style of your property is an excellent way to give the exterior of your home a real boost without too much effort which is great if you are trying to raise your properties kerb appeal. At Sekura Windows they are able to offer an extensive range of composite doors and include the option to add your own choices of colour, design, glass and hardware so you can ensure that everything is created to your own preferences and if you can’t see exactly what you want they are always happy to listen to any requests and see what they are able to do. With their comfortable showroom onsite with their large manufacturing plant if you want to find out more you are welcome to go and pay them a visit and discuss any questions you may have with one of their friendly members of staff, who will also be able to show you examples of the composite doors they are able to offer and talk you through the whole process. As you will be buying directly from the manufacturer you will be able to enjoy far more competitive rates that if you were to visit a third party outlet without having to compromise on quality at all. At Sekura Windows they have over fifteen years’ experience helping their customers in Newcastle and the North East make home improvements to their properties and are real experts within the industry so you can be sure that any door you buy will be produced to the highest possible standard. With a fully qualified team of professional fitters on hand they will be able to make sure your door is fitted in no time at all and they will even take the old one away for you. When you choose to buy a composite front door from Sekura Windows it will come with a police approve multi point locking system, spy hole, security chain and toughened glass as standard so you can be sure it will be able to keep unwanted intruders out. You can also enjoy added draught protection to help keep your home warm and the modern materials used ensure that your door will be able to withstand the elements for many years to come with the minimum of maintenance required. Ordering your new door with Sekura Windows is simple and straight forward, all you need to do is complete the steps to create your design. 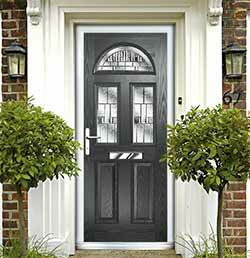 First you can choose your overall style of composite door, then decide what colour and style of finish you would like, choose your glass and then finally select the hardware that suits your door best. Then all you need to do is submit your choices and wait for your door to be fitted. So are you are looking for top quality conservatories, UPVC windows and doors throughout Newcastle and the North East? To find out more about what is on offer at the Sekura Window Centre, where they will be certain to be able to help you find the perfect design for you home, call them today on 0191 214 66 44 or visit the Sekura Windows website.